I had a lot of time to reflect last night. I finished moving Margot into her dorm, helping her unpack – then we said our tearful goodbye’s. After that it was just me and my thoughts (with some showtunes music background) for the 260 mile drive from Hanover, NH to my parents house in Great Neck, NY. It was a mental trip down memory lane and I think some of my experiences the first year are what I want to share as they relate closely to one of my themes of the work/life juggle. 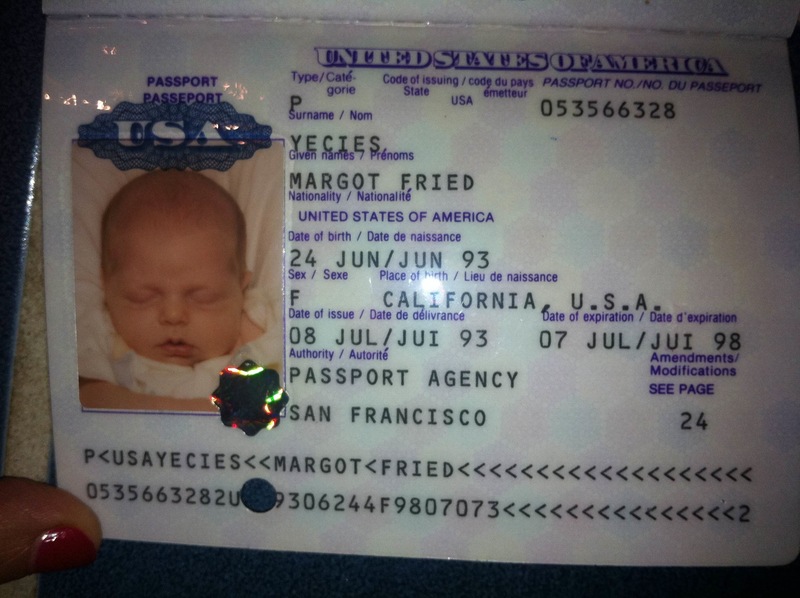 Margot was born in June 1993. At the time I was working as a sales rep managing the Andean, Central American and Caribbean region for Informix Software. I started my maternity leave on my due date but returned to work when a heat wave struck. I decided it was actually more restful to work in the air-conditioned office and close out the quarter then to swelter at home worrying about the numbers. It was a treat having most of the summer off to be with the baby. I then returned to work when she was about 8 weeks old. My plan was to breastfeed for a year as I had for my older two children. The tricky part was travel. My closest customer was 10 hours away and there was no replacing time with them in-person to make the deals happen. Given the distance of my customers it was impractical to go for less than a week – not compatible with nursing. Plus I really didn’t want to be separated from any of my children the first year if possible. I believe that is an important part of the bonding experience. My solution to this challenge was to bring Margot with me. She ended up coming with me on about a dozen trips throughout Latin America. It wasn’t the easiest thing I’ve ever done but it was certainly one of the best. Logistics were not easy. Carrying an infant carseat through airports (this was 1993, before the era of the “all in one” carseat/strollers) was tiring. Babysitting was an issue. When I traveled with newborn Todd 5 years earlier my mom met me in DC to watch him and once my cousin Ellen subbed. This was trickier. I arranged babysitters through the hotels where I stayed. I requested that it be a longtime employee of the hotel (typically a housekeeper) and I interviewed them over the phone. A few times one of my distributors who I had become friends with would help me find a sitter. Of course all this took some extra planning. My friends would ask me if I worried about not knowing the babysitters personally but inevitably she was completely doted on when I was working. The funny part was that these Latin ladies were not happy that my bald baby girl did not have her ears pierced. They were concerned she looked like a boy. They also consistently thought she should be dressed up in fancy dresses even though she was just staying in a hotel room. The best part was my time alone with her – precious one-on-one time that you don’t usually get with a third child. I’m enjoying thinking back on those memories now. 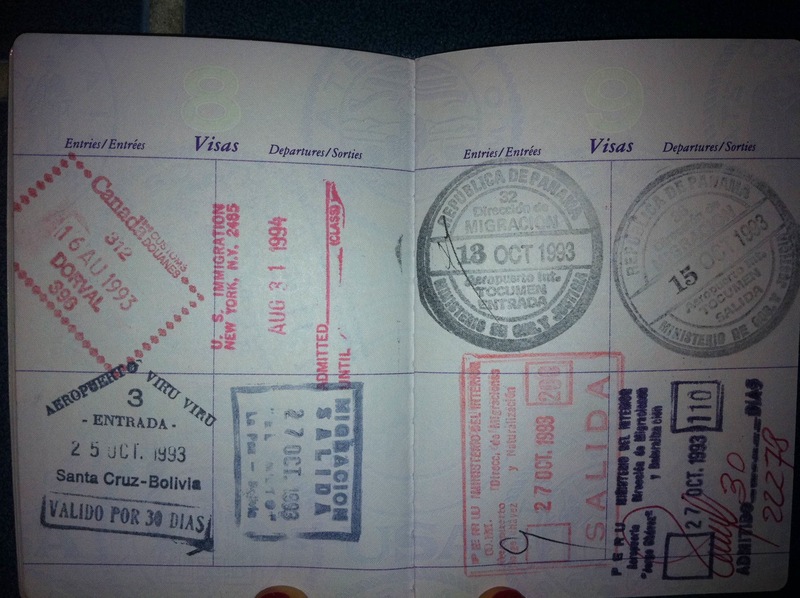 Here are 2 pictures from her first passport. That passport is one of my treasured possessions as a reminder of her first year. This entry was posted in Parenting/Family, Travel, Women in Business, Work/Life Balance by lyecies. Bookmark the permalink.